Carlton Court’s plush and well-furnished self-contained apartments are a wonderful option if you are looking for a short stay in London. We are located in the heart of London and are equipped to provide you with everything you need for an enjoyable and memorable short stay, such as space, privacy and 5-star services. We offer you all this and more at very reasonable rates. This is why, more and more people are opting for our serviced apartments instead of cramped and expensive hotel rooms. 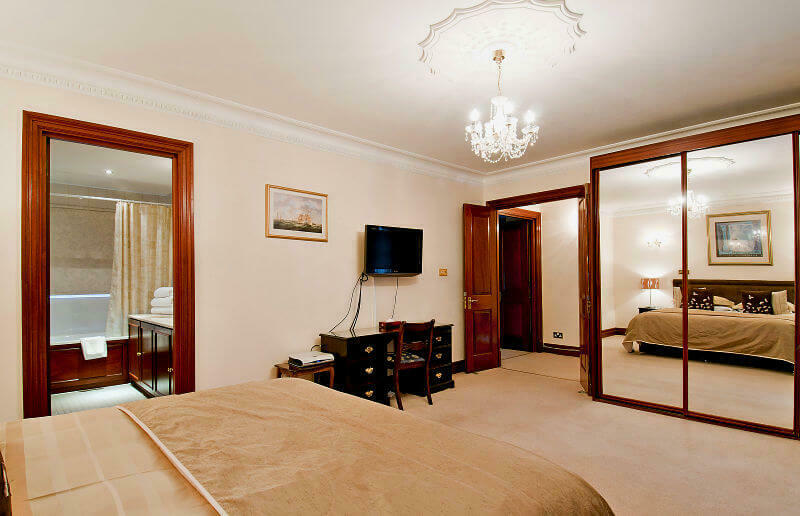 Our beautiful serviced apartments are perfect as short term lets in central London. We can provide you with as much comfort as you require. You can choose from our array of gorgeous apartments, such as one-bedroom penthouse or deluxe apartments, 2-bedroom apartments and 3-bedroom apartments. Each one of our apartments is equipped with free high-speed Wi-Fi, LCD TV with full Sky HD package, fully-equipped kitchen and other state-of-the-art appliances. Our apartments are tastefully decorated and offer much more floor area than hotel rooms. By booking any one of our apartments, you will be able to relax knowing that you have got a home from home. You can invite friends over, prepare a delicious meal or just relax by watching TV or listening to music. The moment you rent one of our apartments, the service you receive is second to none. We offer you a wide range of inclusive services so that your stay with us is as relaxing and enjoyable as possible. You receive a free breakfast hamper everyday of your stay, along with our housekeeping service, 24/7 concierge service and security, plus lots more. So, what are you thinking about? If you are looking for a short or long stay, Carlton Court should be number 1 on your list. Call us today and we will look after your every need.